Hair weaving can either be done by using bonding glue or it can be done by having your own hair braided into cornrows around your head and then the human or synthetic hair wefts are sewn, that is to say, woven into the cornrows. Some salons call this integration as it’s viewed as integrating the hair weft into your own hair. Another version of this method is known as net weaving, or net-weave. This involves the use of a net-cap which is sewn onto the cornrows and the wefts is then sewn onto the net instead of your own hair. The world of the woven hair doesn’t stand still and there are now new tape hair or skin wefts that do not require cornrows and can be placed straight on top of a section of your own hair in a similar way to bonding weave hair. These weaves are attached using glue so it’s important to remember that if you have hair, then your primary focus is to wear the hair you want without damaging the hair you have and sometimes the removal of these wefts can be more than tricky. When wearing weft hair extensions it’s important to keep your own hair clean by washing the weave hair on a regular basis as well as ensuring that you have the weave hair removed (which you can do at home) within three months to avoid the hair matting together. It's not uncommon for folks to wash their weave hair each week with a shampoo for dry or damaged hair and spray the roots with a light water based moisturiser to keep their growth hair underneath healthy. Who Can Wear Hair Weaving Extensions? Weave hair extensions are all inclusive so anyone can wear them (providing there is enough growth hair to secure the weft hair extensions), so whatever your growth hair texture, you can find a texture that suits. Weft hair extensions give you the ability to wear virtually any colour, texture or length of hair without altering your own, the new closure techniques mean that quite often it will be hard for anyone to tell you are wearing weave hair. 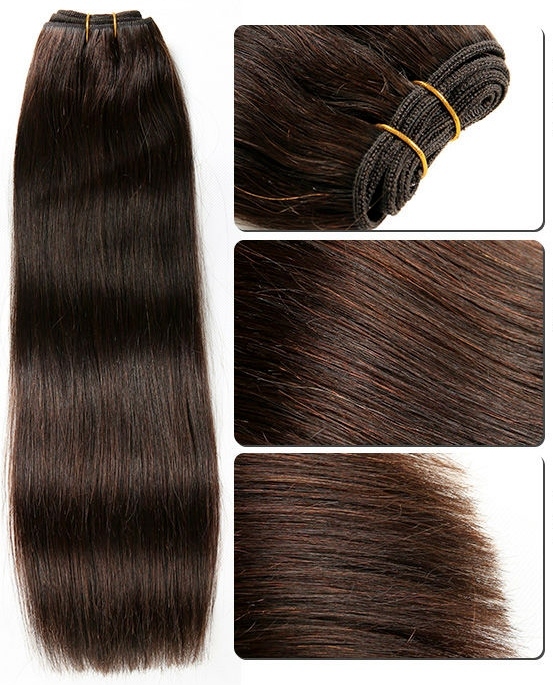 Weft hair extensions can be heat straightened if made from human hair and there are plenty of daily styling weave hair products for glue-in weave hair and sew-in weft hair as well as guides about how to nourish weave hair with oils and how to condition weave hair. What About Hair Weaving Textures? Weft hair extensions also come in a range of textures from straight to curly; so whether you’re looking for Afro hair extension weaves or loose wave hair wefts or silky straight weave hair extensions, you'll be sure to find them. If you’ve read any of our other articles on weave hair textures, you'll already be a learned fellow and know that lengths range from 8-28 inches. As a learned friend (love that phrase) you'll also know that longer lengths are available but will require that you search like Jessica Fletcher to find them as they're not in plentiful supply... just look, look and look some more as they're not widely available. If you're not sure which length to choose, it might be an idea to start from the point of thinking about your final look. If you intend to get your weave hair cut and styled then choose your look based on that final cut. What About Weft Hair Colours? 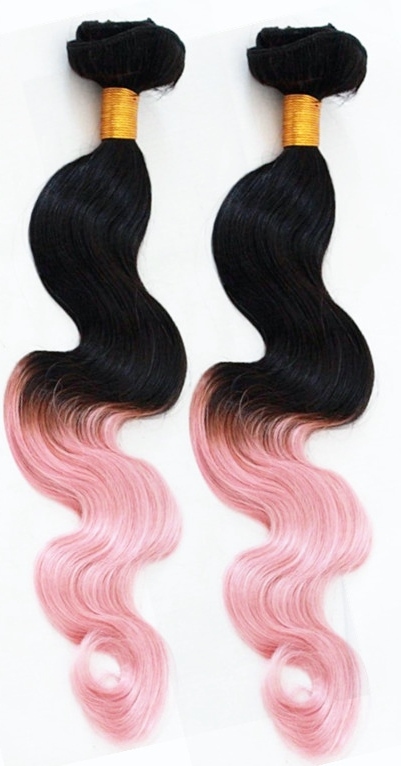 Weaves come in all the natural colours that hair comes in as well as vibrant colours like pink, blue, yellow and green. It's not always easy to know which colours that complement your skin tone so we've put together a hair colour and skin tone guide to help. So whether it’s a funky look you’re after or a mainstream feel you can be sure to find the colour that suits you. Hair weaving extensions are versatile and widely used, and just like the rest of the hair world, they are available as synthetic hair wefts or for those of you who favour all things human you can easily purchase human hair extensions for weaving too. Helpful Hints for Hair Human hair weighs more than synthetic hair to be sure to think about the weight of the hair weft on your head as if it’s too heavy it can cause traction damage to your own hair, which is never a good thing. It takes a long time for the follicles to recover and produce hair again and if the follicles are under strain over a prolonged period of time, they sometimes don't recover. If you want to keep up to date with the next guide about hair weaving extensions, other types of hair extensions, wigs and hair pieces then join our blog, or check the Hair Extensions Q&A section.